So you’re at the point where you want to add more character to your car. You want it to stand out and reflect your style without being too overpowering — but you also want it to benefit you in the best ways possible. You’ve probably seen several different versions of window tints ranging from light shades to pitch-black. A dark tint may look impressive, but is window tinting safe? While the immediate answer is “Yes,” some situations are dangerous to drivers, pedestrians and other motorists. A potential downfall of using tints on your car’s windows is installing too dark a shade. Going a little overboard can get you in trouble with the law as well as from potential hazards while driving. We know tints offer a ton of benefits and also give you the perfect aesthetic when customizing your ride — which is perfect! Tints can block UV rays, offer privacy, reduce glare and provide several other positive improvements. But when you install lower percentages than allowed, the dangers of dark window tints become more apparent. Most new cars have treated windows with low levels of tint to provide some protection from UV rays. However, car enthusiasts often give their vehicle an extra boost by adding darker tints after it rolls off the assembly line and into their driveway. It’s called “aftermarket tinting” — and it’s up to the professional or DIY installer to know the different levels of tint available. You can apply tints to your side and rear windows to prevent certain levels of light from passing through. You can also install tints to your windshield, but regulations are stricter. The tricky part is keeping your windows compliant with state regulations. While you have the freedom to customize your sports car or truck with darker tints, the lower percentage indicates a darker tint — which is not always as cool as it sounds. Visible light transmittance is the ratio of light passing through the glass of your windows. The lower the VLT percentage, the darker the tint will appear. For example, 100 percent tint allows 100 percent of the light to pass while a 70 percent tint means only 30 percent of the light is blocked. Now that you have a better idea of how tint percentages work, continue reading to learn how a too-dark tint can become dangerous. You may think that the darker you go, the cooler your ride will look — but it’s also important to consider any uncertain outcomes. So You Want to Black Out Your Windows? Whether you apply tints to your car because of the benefits or for a more aesthetic appeal, there is a chance you can go a little too far. Imagine that — going too hard on making your car look awesome. Yes, it’s possible. When you apply window tint films that are too dark, it can lead to impaired vision, create misunderstandings, obstruct rescue operations, draw more attention to your car, increase your insurance rates and get you in trouble with the law. However, there is a happy medium you can reach with tints. You can still install window films for the look you desire without being too obstructive to yourself and others. Here’s what you need to watch out for if you are thinking of installing darker windows tints compared to lighter versions. While one of the primary purposes of window tints is to protect your eyes from the sun and shield you from harmful UV rays, films can also hinder your vision on a cloudy, rainy or snowy day. Too dark of a tint may make it more difficult for you to see your surroundings in low light environments. Driving at night with high levels of tint can be dangerous, too. The combination of a dark night and dark window films can create an intense lack of visibility. Darker tints are ideal for sunny states, but not necessarily in northern areas where people experience cloudy and rainy days more often. Crossing an intersection is one of the many instances where eye contact with other drivers is key to making a safe crossing. Intersections are complex and busy areas because individual drivers remain focused on their final destination. Whether you are yielding to turn left, turning right on red or waiting for a pedestrian to cross the walkway, eye contact is vital in making a safe move. When you have dark tints covering your car’s windows, it can create misunderstandings between you, other drivers and people. Tints too dark can prevent you from being seen by others at an intersection or any other roadway. Using proper eye contact and hand motions can often prevent accidents from occurring. If you want to motion for a person to move ahead before you but they can’t see, it makes for a confusing situation. Eye contact helps clarify your intent when you are playing the “you go,” “no, you go” routine. Eye contact and communication without words is essential when crossing or making turns. It’s often as effective as using turn signals, but only when you have the proper levels of tint. In the unfortunate event that you are in a car accident, rescue and medical personnel rely on looking into your vehicle to assess your condition. But if your windows are too dark, they may not be able to see inside. Rescue workers determine how to move you based on your impairments and whether you have head trauma, minor cuts and bruises or broken bones. The police can also get caught off-guard when hunting for a suspect if they come across your vehicle. If they can’t see through the dark tints and your vehicle matches the description they are after, police authorities may check your ID and ask questions. While tints help keep your windows from shattering during an accident or impact, a too-dark tint can sometimes put lives in jeopardy or cause inconvenience. While specific levels of tint provide protection and privacy from people seeing you and peering inside your car, extremely dark tints can actually attract more onlookers. Your vehicle’s tints may draw more attention to curious bystanders or law enforcement. When you tint more than the usual level, the film becomes the opposite of what you want. Even thieves may be more likely to check out your car because it seems like it’s hiding more valuables. Knowing you can’t see something makes you more curious, right? Keep that in mind when determining the right level of tint for your car. It’s always a wise idea to report all modifications you apply to your car to the insurance company. If you are thinking about installing window tints, you can call before you make any alterations to see the type of standards they have in place. If your window tint films comply with state regulations and laws, there is often no increase in your insurance premium. However, if your tints are too dark, they can increase your rates, as providers see it as a hindrance to your driving abilities. The darker the tint and the more illegal it is, the higher your rates will become. Sometimes, companies base their rates on the percentage of tint. Save money in the long run by avoiding excessively dark window tints. If you are thinking of adding darker levels of tint to your car’s windows, the best thing you can do is refer to your state’s laws and regulations. Each state has different stipulations regarding window tints. If police officers can’t see through your windows, you may receive a fine. Rules are most often concerned with the VLT level, so you will get a citation if you’re not compliant. Because each state has different regulations, it’s imperative to have your vehicle inspected by a licensed professional or government inspector for accurate readings. The side, front and rear windows also have various regulations when it comes to VLT. You can check out your state’s regulations here. Emergency vehicles, trucks, RVs and multi-purpose passenger cars usually have exceptions when it comes to tinting. Their windows can be darker than 24 percent, for example. However, a typical rule for almost all states is that you can’t tint the windshields except for the top six inches. If you tint the windshield of your vehicle, your ability to drive safely will decrease with your lack of visibility. Tinted window laws in New York, for example, indicate that you cannot install films to your windshield or front side window greater than 30 percent. The percentage indicates 70 percent of light must be able to pass through. You can find more information about New York’s regulations through the NY DMV website. Again, it’s smart to check with your state’s laws and stop by your local DMV to learn about what you can apply. It’s also important to remember that one state’s regulations may differ from another, so if you move, be sure to keep up with the differences. Just because dark window tints may not be the most sensible addition to our cars doesn’t mean all levels of tint are dangerous. In fact, when you apply the proper level of film to your windows, the benefits will outweigh even the aesthetic appeal. Tints that conform to your state’s regulations can reduce the glare you see from the sun and other vehicles. Instead of holding your hands over your eyes or using other means to block glares, the tint will simply protect you without other intervention. The addition can also block heat from entering your car to keep it cool on sunny days. You will also notice a significant difference in the temperature of the inside of your car as it keeps heat inside during the winter months. The perfect level of tint protects you and your car from UV rays, too. With fewer sunrays hitting and damaging your upholstery, tints can reduce interior fading. In fact, window films can block almost 100 percent of UVB and UVA rays. Of course, tints also hide your expensive property like computers, phones, clothes or other valuables. Your items will be out of sight for extra privacy and safety. While tints can block UV rays, heat and glare, the right level won’t reduce your visibility. You can also use films for medical reasons as well as to keep your windows from shattering during an accident. When you apply the tint to your side and rear windows, the adhesive properties hold the glass together when cracked instead of letting it fly and shatter across your car. Choosing a lighter and legal window tint can increase the appeal of your truck, sports car or classic vehicle. It can take an average car and make it classier in appearance. When you need a change as well as benefits, tinting is the right move to make. Rvinyl has the perfect window tint whether you are installing it to your front, side or rear windows. We offer the perfect blend of style and function so you can customize your ride with affordable films that won’t break your budget. Made for car enthusiasts, our precut window tints are ideal for DIY applications at a fraction of the cost of tint detailers. 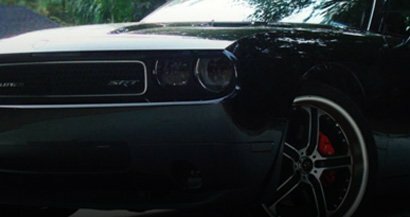 Personalizing the exterior of your vehicle gives you a ton of freedom when you shop at Rvinyl. We offer different tint levels so you can choose which style to apply. You can also remove our products whenever you see fit, which is especially nice for rentals or leased cars. DIY applications let you take pride in your detailed additions, as opposed to a professional installation, since your results reflect your work. Our precut window films come with a three-year warranty to guard against peeling, cracking and fading. Shop Rvinyl window tints and order online today! If you have further questions about our products or the proper way to tint your windows, you can contact us online or refer to our Live Chat feature to speak with an Rvinyl representative. While the darkest tint may not be the best option, the right level will benefit you in more ways than one.